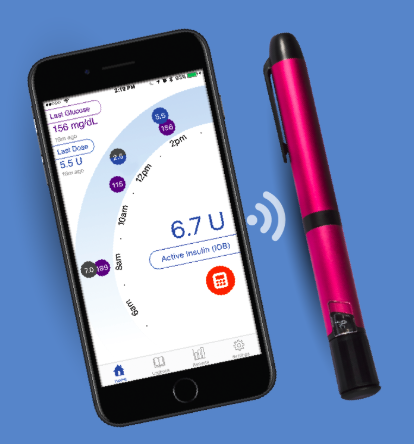 The smart insulin pen’s Android app is expected to launch later this year in the US; a Europe launch is expected in 2019. Plus, learn about four other smart pens/caps in development to capture injection data! 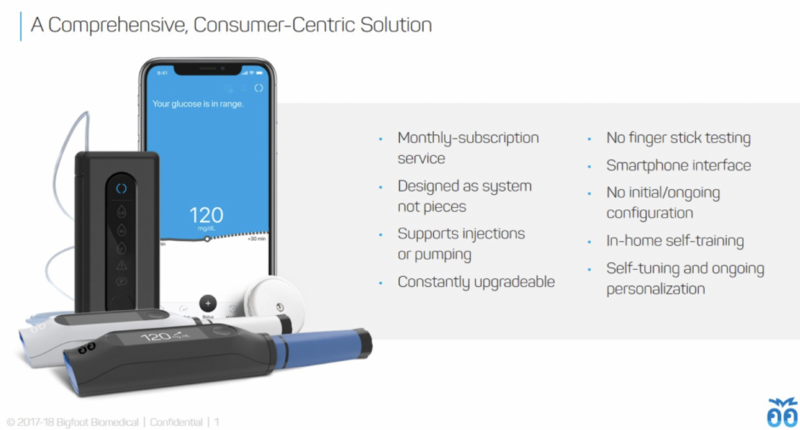 Companion Medical’s InPen, a reusable, Bluetooth-enabled smart insulin pen that captures mealtime injection data (amount, time) and sends it to a paired app, just achieved two important milestones: clearance to launch in Europe (“CE Mark”) and FDA clearance to launch on Android. The InPen system hopes to help people use insulin more safely by making it easier to remember to take insulin and avoid dangerous insulin “stacking” (bolusing at close intervals). The Android app will be available first in the US by the end of this year, complementing the Apple iOS app that launched late last year. A European launch of both apps is expected in 2019 (countries not specified). The Bluetooth-enabled InPen brings injection users many of the digital benefits of pumping, but with lower costs and without having to wear a device 24/7. The paired app displays last dose and insulin-on-board (taken within the last few hours), dose history and timing of doses, and even insulin temperature. The app ‘passively’ receives this data from the smart pen in the background (no need to “sync” or download), and has a built-in bolus calculator. Data can also be sent to healthcare providers and caregivers. A very cool new report, Insights by InPen, also allows users to see their glucose data and injection data together. The reusable pen has a consumer-friendly design without screens, buttons, or other noticeable add-ons. The pen lasts one year, requires a prescription, does not need recharging, and is currently compatible with Novolog and Humalog rapid-acting insulin cartridges. (The prefilled cartridges are prescribed separately and inserted into the pen.) Users receive a Bluetooth-connected blood glucose meter (AgaMatrix) with the InPen. Currently the InPen is available through mail-order in the US, but not in retail pharmacies quite yet. (Companion is launching it carefully to provide the best customer experience possible.) InPen is covered by many insurance companies in the US, with approximately 70% of users paying $50-$60 out-of-pocket copays for the one-year device. For those without any insurance coverage, the pen’s cash price is $549. Get more details on Companion’s website. What other companies are working to capture injection data? Gocap is a reusable Bluetooth-enabled cap for disposable insulin pens. 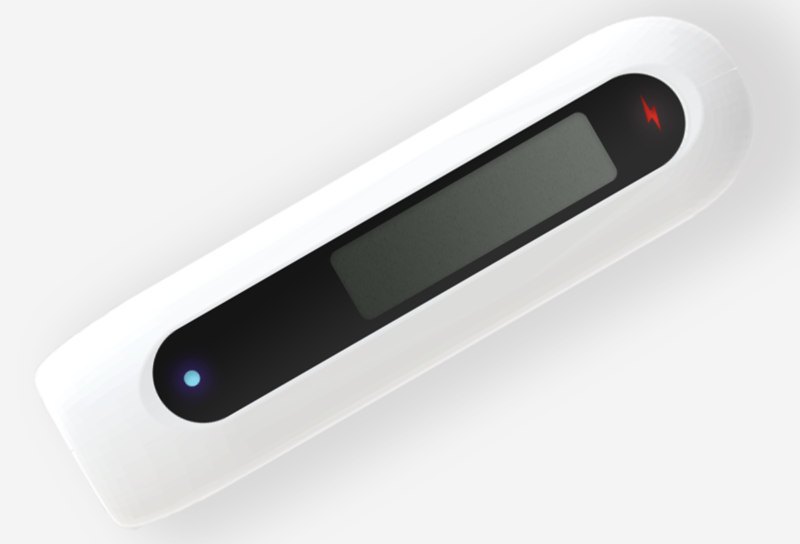 It uses a sensor to read the amount of insulin left in the pen, which is relayed to a phone app on Apple iOS or Android. Gocap tracks dose amount, time, units remaining in the pen, and temperature; it does not include a bolus calculator. It does have a screen on the cap, which displays last dose and amount left in the pen. Gocap’s compatibility is currently limited to Lantus (long-acting) and Apidra (mealtime) insulin pens, and NovoLog is expected to be added by this October. The smart cap is available for $75 in the US through a Beta program. Click here to see if you qualify. The cap’s rechargeable battery is designed to last 10 days on one charge. A next-generation device is expected in 2019 and will included extended battery life and improved accuracy. The company’s goal is to make Gocap available at no cost to users, which will require partnerships with companies and insurers; hence, it has not made focused on launching direct-to-consumer. 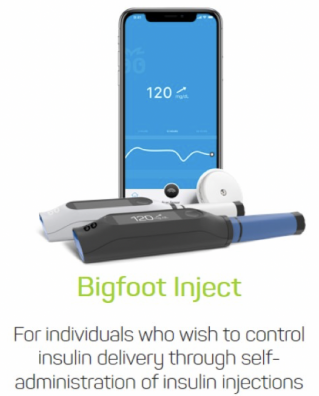 Following its acquisition of Timesulin last year, Bigfoot is also working on smart insulin pen caps and a paired app with a lofty goal: “close the loop” for injection users. The caps will read how much insulin is in both long-acting and mealtime disposable insulin pens, send the data to a smartphone app, and then deliver recommended insulin dose changes based on patterns from a next-gen FreeStyle Libre continuous glucose monitor. We got a closer look at the system – called Bigfoot Inject – at Friends for Life earlier this month. The cap now includes a screen, with one color cap to be used for long-acting and another for mealtime insulin. Bigfoot’s system will allow users to more easily switch between using pens and using a pump, a pretty cool advantage. The current plan is to make the whole insulin automation service available for one prescription and one monthly copay. Bigfoot hopes to launch both of its systems in 2020 with Abbott’s next-gen FreeStyle Libre CGM: this Inject system and its Loop system with a pump (hybrid closed loop). Lilly is also developing a connected smart pen based on its disposable Kwik Pen. Lilly hasn’t shared whether the device will be a cap, dial, sleeve, or something else entirely. The pen will be part of an “Integrated Insulin Management” system that includes an insulin dose guidance app and data from CGM, BGM, and possibly other devices. The system is expected to launch in the next two-to-three years (by late 2020). Lilly has also invested in Companion Medical’s smart pen. Novo Nordisk has developed its own reusable NFC (Near Field Communication)-connected insulin pen called NovoPen 6 that is piloting in Sweden and currently used in some US studies. The product is based on the existing Echo pen, which passively tracks and stores insulin doses. Like FreeStyle Libre, the current version uses NFC, meaning it must be scanned in close proximity to move the data off the pen and to another device. At ADA in June, we got our first in-person demo – physicians can upload patients’ insulin data to a Glooko/Diasend kiosk transmitter, allowing them to view glucose and injection data together. The pen’s dial gives the size of the last dose and the time since the last dose. Eventually, we’d guess Novo Nordisk will equip the pen with Bluetooth so that data can flow to an app continuously. No launch timing has been shared, but Novo Nordisk seems very committed to digital health through its partnerships with Glooko and IBM Watson.